Created by fitness and wellness expert, Lauren Griffith, Agility Barre® is a fun, upbeat workout that combines the strength and endurance of Sculpt with the mindfulness and flexibility of Yoga. 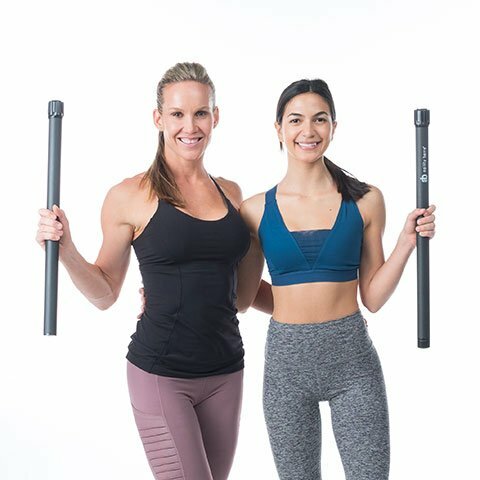 Achieve a lean, toned physique through specially choreographed dance combinations that utilize the Agility Barre® Weighted Bar and maximize your workout. Increased muscle mass and resting metabolic rate. Decreased injury risk while providing a mind-body emotional connection. Precision of movement allows for perfecting form and flexibility. Lift your seat, chisel your abs, build strength and endurance, and tone your thighs and arms. Each Agility Barre Routine is a combination of cardio, interval training, and isometric conditioning. These workouts are designed to target your entire body and help you achieve your fitness goals.